A reliable kicker — one who inspires confidence — is one of those “don’t know what you have until it’s gone” kind of things. Video (03:27) : Vikings special teams coordinator Mike Priefer talked to the media about what went wrong against Seattle. *The Brad Childress Era will be remembered for many things, but one underrated strong move Childress made came at the outset of his tenure. 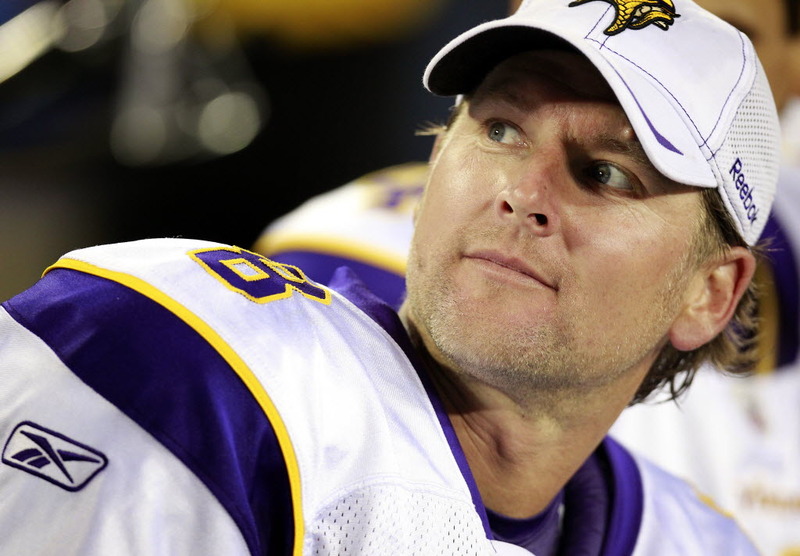 In 2006, the Vikings targeted kicker Ryan Longwell in free agency and nabbed him early. He was coming off a subpar year with the Packers (just 74.1 percent accuracy on field goals), but he was set to turn 32 before the 2006 season — plenty young in kicker years. The volatility of the Mike Tice Era was evident in many phases, and kicking was chief among them. The Vikings had four different primary kickers in the last four years he was head coach: Paul Edinger in 2005, Morten Andersen in 2004, Aaron Elling in 2003 and Gary Anderson in 2002. Longwell came in and immediately established order. He made the game-winner with a minute left in his debut and an overtime winner the next week. For the season, he made 21 of 25. He ended up kicking with the Vikings for six seasons, making 86 percent of his field goals in that time. Just as important as that 86 percent: When Longwell trotted onto the field, you had 100 percent confidence that he was going to make the kick. He didn’t always do it, but roughly 6 of every 7 times he did. The misses felt like aberrations. A reliable kicker — one who inspires confidence — is one of those “don’t know what you have until it’s gone” kind of things. It must be an incredibly nice feeling for a head coach. Even just watching on TV, it changes your nerves and perception of a game. Blair Walsh replaced Longwell in 2012, and for a couple years the transition was seamless. Walsh was masterful as a rookie, including 10 of 10 makes from 50-plus yards. He was good in 2013 (just four misses). But then came 2014, with nine missed field goals. Then 2015, with four missed extra points. By the time the playoffs rolled around, it seemed as though Walsh had his problems under control. Still, if you watched, you had nagging doubts. When he hooked that 27-yarder against Seattle, all confidence in him was lost. Walsh’s 2016 season was a nightmare. Kai Forbath came in and did fine. His field goal accuracy was not the problem. Indeed, Forbath ranks in the top 10 all-time in the NFL in that department. But in 1.5 seasons with the Vikings, he missed eight extra points. When Forbath walked onto the field, did you expect him to make the kick? Certainly not to the degree you expected Longwell to make his for those six seasons. That feeling, and Forbath’s kickoffs, led the Vikings to draft Daniel Carlson in the fifth round in 2018. Carlson won the kicking battle when Forbath was cut last week, making him the Vikings’ third different kicker to win the job in the last three seasons, but in his first preseason game after officially winning the job Carlson missed twice. Maybe that will prove to be a meaningless hiccup or a teachable moment on the way to a long, successful and confidence-inspiring career with the Vikings. It’s a trust he’ll have to earn. It’s one that doesn’t come easily, though it’s one that can easily be taken for granted as many of us probably did with Longwell. *FanGraphs would tell you that Joe Mauer has far exceeded his career earnings in value to the Twins over the course of his career. Maybe once this season is over, and Mauer’s eight-year, $184 million contract is finished, fans can finally get over the fact that Mauer made $23 million per season. Nah, who are we kidding? The U.S. Open tennis major has “asked some of the biggest names in women’s tennis to come together in support of ‘SheIS,’ a new initiative which aims to increase awareness of women in sports.” They’ve also found an ally in men’s tennis star Andy Murray. Huh? Is the Vikings offensive line 'poised for more success' in 2018?